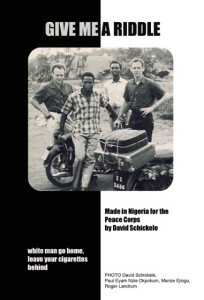 filmed verité style in Nigeria for the Peace Corps is the first major film about the Peace Corps experience. Nigeria became an independent country in 1960. In 1967 it was torn apart by civil war. 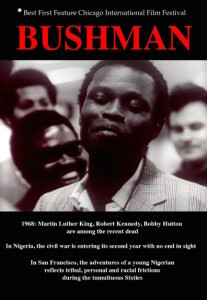 Between these two events Nigeria enjoyed a kind of golden age, full of cultural ferment and cross-tribal fertilization. Every kid out of the village was writing the great Nigerian novel. A spirit of great hope prevailed through the land. Give Me A Riddle is about this golden age, seen through the eyes of ex-Peace Corps volunteer Roger Landrum, returning to his host country a couple of years after his Peace Corps service as a teacher at the University of Nigeria. The film follows Roger as he looks up his old student friends, travels with them to their homes, talks with them about their lives and the life of their country. Shot in 1966, the film is a time capsule of a Nigeria and a Peace Corps both in the rambunctious bloom of youth. David Schickele (1937-1999) San Francisco Bay Area filmmaker and musician served with Roger Landrum as instructor in the English Department at the University of Nigeria at Nsukka for the Peace Corps flagship years 1961-63. Truth is stranger than fiction in Bushman (1971, B/W, 75 mins.) when an African student in America struggles to resolve tribal, personal and racial frictions. Numerous festival awards include Best First Feature atthe Chicago International Film Festival and the film was collected by the University of California Berkeley Pacific Film Archive. A rare sort of film portrait, part document, part imaginary – poetic in its approach to real events. It describes the experiences and misadventures of a young Nigerian, named Gabriel, who comes to America for the first time, settles in the Bay Area and attends San Francisco State College. One is immediately struck by the exciting juxtaposition of African outlooks and California urban life. For the first time in American cinema, an educated African elucidates in a no-nonsense manner the bewildering ineptness of American society to live humanistically. What happens when an open-pit gold mine makes plans to blow up the small Nevada mountain town of Tuscarora where artist Dennis Parks runs an international pottery school? Nevada says mining is the highest and best use of the land. 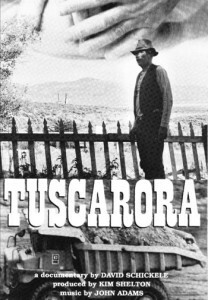 But the Citizens of Tuscarora have different ideas. Under the threat of seeing 25 years of labor bulldozed away, Parks looks back on his life and work in Tuscarora, and joins the other townspeople in the fight for their homes, posing the question: Is the gold below the ground more valuable than the people living on it? 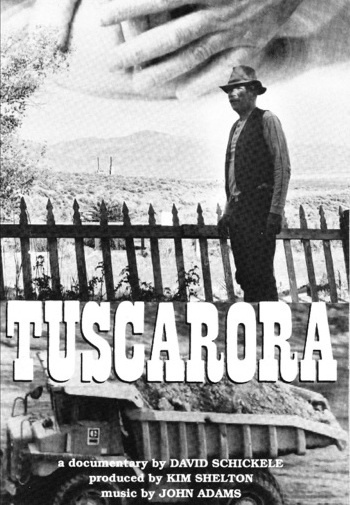 An adroit mix of the personal and political, Tuscarora is a fascinating and inspiring entertainment, one in the ongoing tale of conflicting values in the American West. DENNIS PARKS started ceramics and sculpture departments at Knox College, IL and Pitzer College, CA, and has served as curriculum chair for the National Council on Education in the Ceramic Arts (NCECA). He’s conducted workshops and lectures throughout the U.S. and abroad, including Australia, Belgium, Great Britain, Hungary, Poland, Russia, and the Czech Republic. 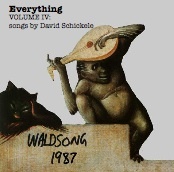 David Schickele wrote about 90 songs in his songwriting years, from 1972 to 1995. He organized the recorded songs into five volumes under the imprimature Waldsong. (Wald is a childhood nickname his brother Peter gave him.) These songs started out as a lark and developed into an obsession. They were not intended for distribution. He wrote them for himself and for his friends and family. We love them and think you will too.